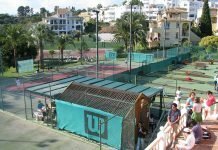 Jennifer Carolan wrote to me on the Gomarbella Facebook page about getting to Riviera del Sol just outside Fuengirola. Hi. I’m looking for some information. We are going on holiday soon and would like to know if a bus goes from Malaga Airport to Rivera del Sol and what are the times for buses? Also returning home from Rivera del Sol to Malaga Airport is there a bus we can get? Hope to hear from you soon. Mike Drury: Hi Jennifer, sorry to take so long to reply. I got back last night from seeing the grandchildren in London. Now that my grandson has discovered the computer, I get less time to answer my emails when travelling. I’ll copy you in a link about getting to Riviera del Sol bus and train and back to the airport by bus and by train. It’s very easy. 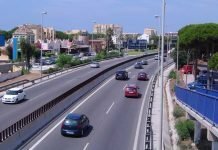 Basically you take the train from Malaga airport train station to Fuengirola train station, change to the bus station which is only one block from the train station walking towards the sea and then you take the bus to Marbella getting off at the Riviera del Sol bus stop. Have a look at the information and please write back if I can help you. Have a great holiday and thank you for writing in. Best wishes Mike PS: By the way, thank you very much for your ‘Like’ on the Facebook page. Jennifer Carolan: Hi Mike thank you so much for your reply. Lol, no worries hope you enjoyed London. Is there a way of only getting a bus from Malaga airport to Rivera de Sol? We always get taxis but they are very expensive. Mike Drury: Hi Jennifer, if you sign up to one of the bus transfer companies like Resort Hoppa, it’ll take you from the airport but no kidding, the train and bus combination is the most economical. 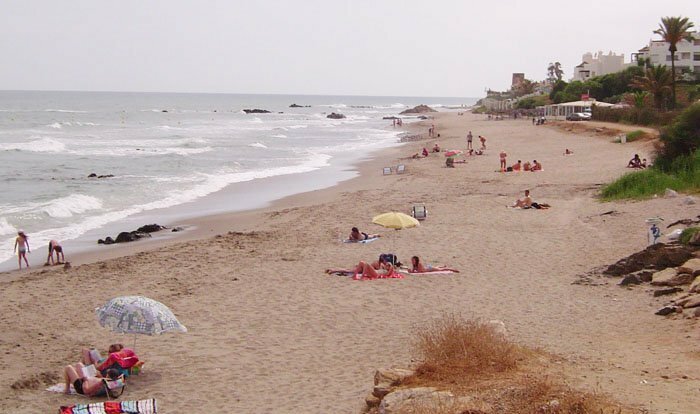 What you could always do is take a taxi from Fuengirola train station to Riviera del Sol. With all the money you save on the train, it’ll still work out really cheaply. Have you tried the train before? There are three trains every hour to Fuengirola. It really is a great way to travel. I can see you are not convinced about the train. PS While you are planning your journey keep thinking about your time on the beach, perhaps a nice cold jug of sangria nearby..
Jennifer Carolan: Hi Mike, thanks again for the reply I’ve never done bus or train in Spain this is all new to me. We think we’ll give the train and bus a go. Fingers crossed…just bit nervous in a different country. Love the site thanks a million. Mike Drury: Hi Jennifer, when are you travelling? I’m sure it’ll all go absolutely fine. Each part of the journey you do will be part of the adventure and when you do get to Riviera del Sol, you’ll be very pleased with yourself. One more question, when you get to Riviera del Sol, do you know where you are heading to? It’s a big resort. If your complex seems a little far from the main road, then you can always just get a taxi from next to the bus stop. Please tell me how it goes. It’s very hot here now and you’ll need to keep a water bottle handy.